The five stages of company growth are well documented, from development to start up, then growth, expansion and maturity. In our four years, TripActions has rapidly moved through the first two and a half, and is now experiencing lift-off towards hyper growth. Our team is firing on all cylinders, leading the industry in innovation and rapidly expanding our customer base to organizations of all sizes, industries and geographies. In October 2017, we had just 50 employees and 180 customers. Today we have 500+ employees serving more than 1,400 customers globally. We're proud to have become the fastest growing business travel platform loved by the world's most innovative brands -- and their road warriors. We got here by living our values to deliver results, first and foremost for our users. After all, everything we do is all about them -- all of them -- one great travel experience at a time. At every turn, our team has challenged the status quo, disrupting what was considered a mature and predictable business travel category, but one that was starved for innovation. Throughout our journey, we've always raised the bar in all that we do. That's why I'm thrilled to share that Meagen Eisenberg is joining TripActions as Chief Marketing Officer. Meagen brings with her an amazing track record of more than 22 years of experience scaling great brands, including most recently MongoDB (Nasdaq: MDB) and DocuSign (Nasdaq: DOCU). Her depth and breadth of experience have helped tech organizations like G2 Crowd, sumo logic, Women 2.0, Chorus.ai and branch.io scale as she's served as an advisor and/or board member. Meagen's arrival comes on the heels of Leslie Kurkjian Crowe and Daniel Finkel joining TripActions. Leslie, our Chief People Officer, knows a thing or two about helping maintain company culture while driving hypergrowth. During her nearly three years at MuleSoft, she brought on more than 1000 employees as the company scaled up through an IPO. Before her time at MuleSoft, Leslie led innovative talent programs at Dropbox and Google. Daniel, who joined us from Expedia Group, has already hit the ground running to radically improve our supplier relationships and refine our booking experience for all travelers -- his mantra going forward. 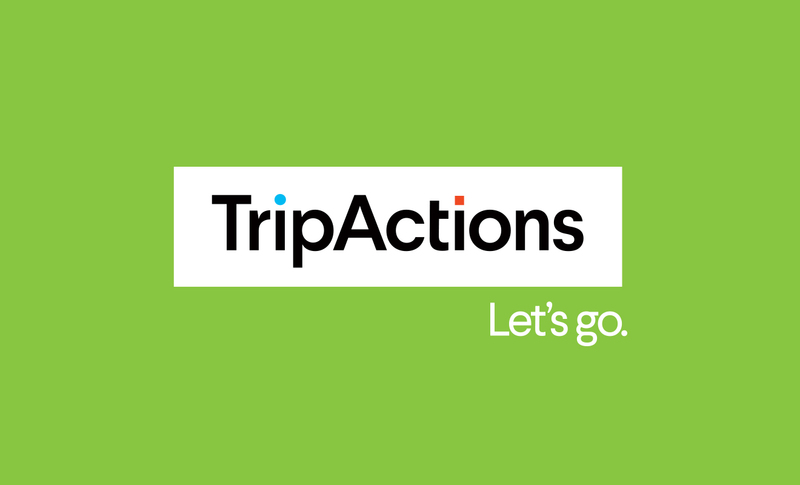 Together with Bob Brindley, TripActions now has the industry's best team for advancing our partnerships with the world's leading airlines and hoteliers. I couldn't be more proud of the work they've been doing to deliver customer-driven innovation which culminated in the launch of the industry's most advanced airline booking experience last week -- complete with more choice, more insight and more transparency for business travelers than ever before. Meagen, Leslie and Daniel are joining the best management team in the industry -- creative, smart, talented executives. Together with my co-founder Ilan Twig, we are completely reimagining every part of the business traveler experience. In person connections are powerful; they help move people, ideas and business forward. That's why we make it easy for travelers to focus on where they're going instead of how they get there, creating a great travel experience from the moment they book to when they return home after having closed the deal.